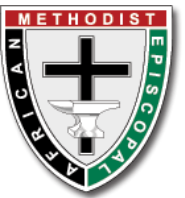 Grape Arbor Development Corporation is a non-profit, outreach ministry of St. Paul African Methodist Episcopal (AME) Church of Chapel Hill, North Carolina, which was originally formed under a grape arbor in 1864 to minister to the needs of slaves in the Chapel Hill-Carrboro community. Grape Arbor was established in 2002 to provide community-based programs for youth and adults in the Chapel Hill-Carrboro community. In 2006, the organization gained 501(c)3 status from the U.S. Internal Revenue Service, granting it tax-exempt status. Since that time, Grape Arbor has flourished with support from Federal, State, and local agencies; foundations; and individual donors. Today, the Grape Arbor Development Corporation focuses on providing enrichment and development activities to foster the full development of young people throughout Orange County (including Chapel Hill, Carrboro, Hillsborough, Efland, and Cedar Grove). Our services focus on youth and their families. Grape Arbor is led by a 13-person Board of Directors and is managed by a capable and committed staff.